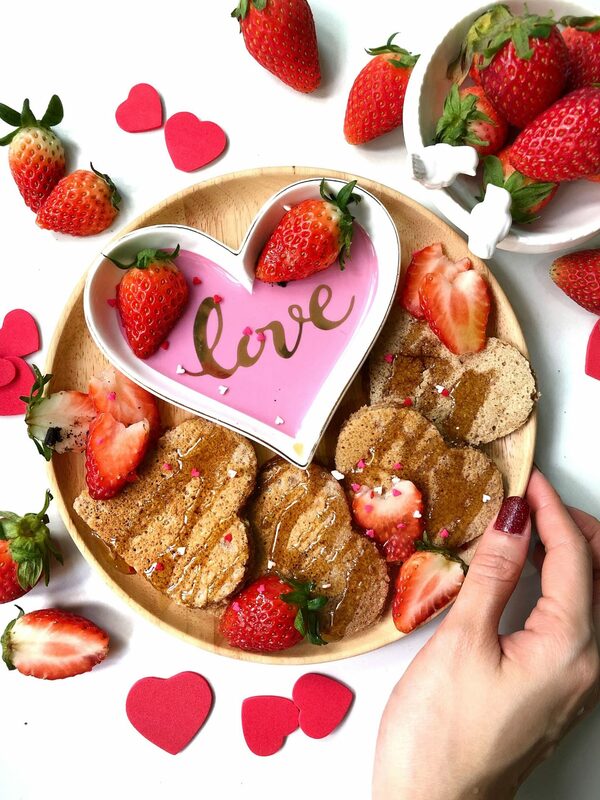 Delicious Oatmeal Pancakes that is gluten free and served with a delicious Maple Syrup and topped with sweet Strawberries. Perfect for Breakfast! Howdy! I’m back with a Pancake post once again. 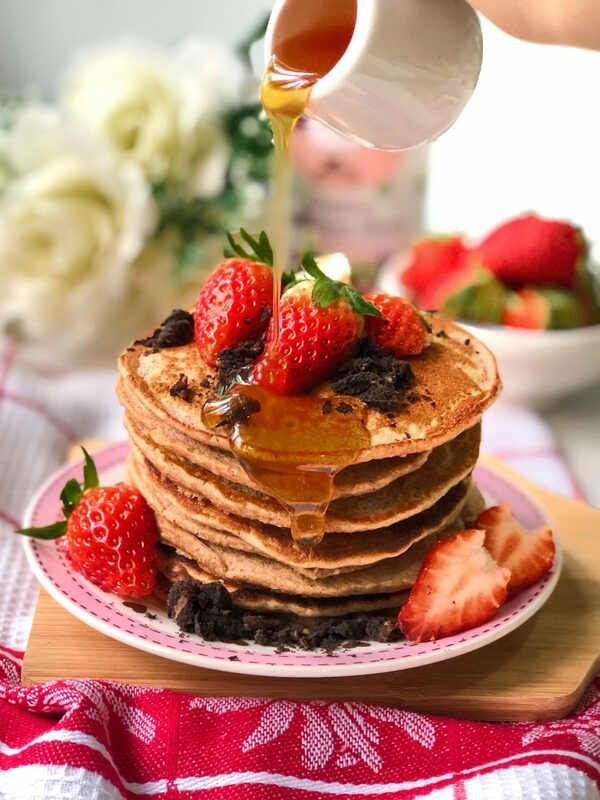 Don’t you get excited when you see Pancakes on the menu whenever you visit cafes or brunch places. I swear my eyes are trained to zoom in on the word “Pancake” in every menu. So Oatmeal Pancakes here we come! 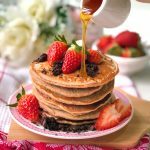 Anyone tried Oatmeal Pancakes before? If you haven, you MUST. This recipe is life changing and the best part is, it’s gluten free. HURRAY! Honestly gluten free stuff doesn’t bother me that much but I know a lot of my friends who are gluten intolerant so this recipe is specially for you! I hope you like it as much as I do. 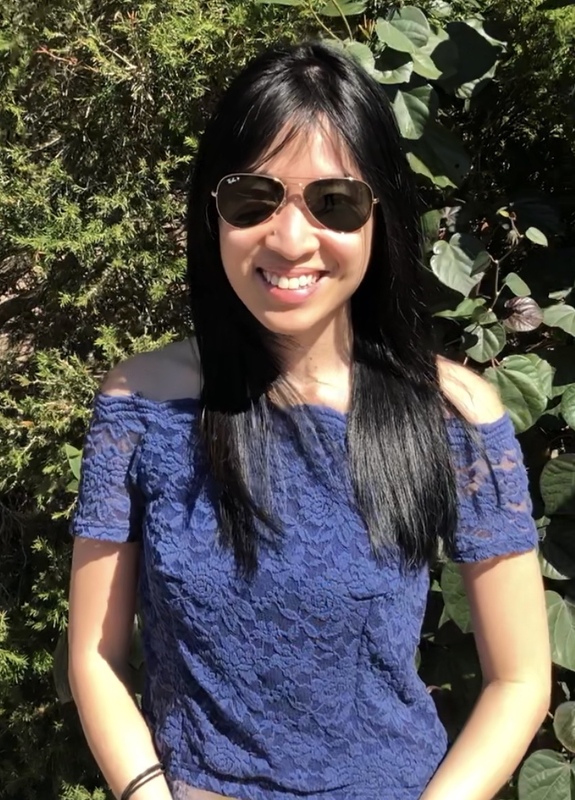 To check out some of my gluten free recipes such as THE AWESOME Flourless Black Bean Brownies, Dark Chocolate eggless Cookies or this baked Thai Milk Tea gf doughnuts, you can click the collection over here. Don’t say I didn’t warn you. They are THATTTTTTTT Good! If you follow my Instagram long enough, you’ll see my enthusiasm and love for Pancakes. FLUFFY pancakes to be exact. I love love love pancakes. You can see all of my pancake creations here. They are the reason why I love breakfast and brunch so much. I wanted to include a little something healthier today thus this yummy Oatmeal Pancake ! 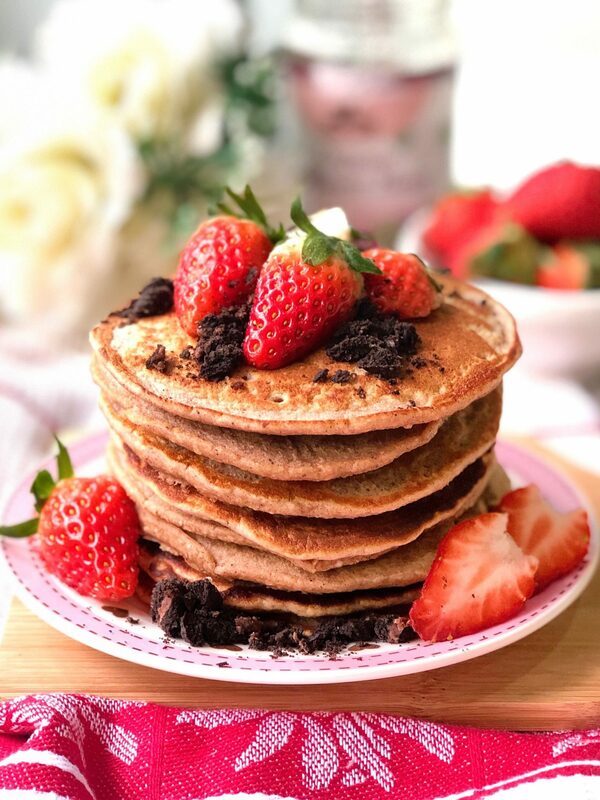 For this Oatmeal pancakes recipe, Instead of adding flour to the batter, you just simply grind the oats in a food processor or blender until its fine and resembles flour. You then mix it with the other ingredients and viola.. 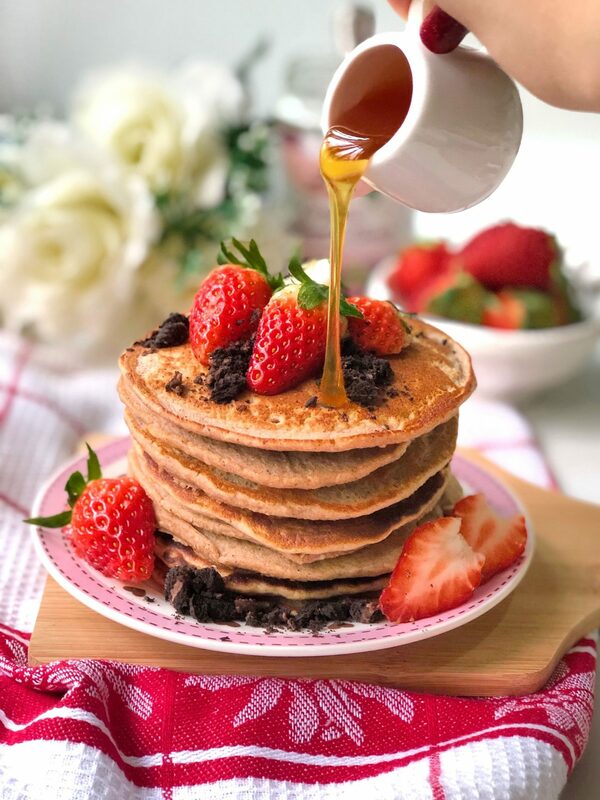 Perfect delicious Oatmeal pancakes that will keep you full and satisfied for the day. Adding sugar is optional. If you’re gonna drench the pancakes ultimately with maple or honey then you might wanna just leave this out. Add in the baking powder, salt, sugar, cinnamon and nutmeg and mix well. Add in the milk and egg and mix till well incorporated. Set aside the mixture and let thicken for 5 mins. Heat a non stick pan at medium heat and grease with a little butter. Ladle 2-3 tbsps of batter into the pan and cook pancakes for 2 1/2 mins on one side. Flip pancakes over and cook additional 1- ½ mins on the other side until golden brown. Serve pancakes with maple syrup, honey, nut butter, pb butter or whatever you fancy!